Timbaland is a big fat liar who's trying to get one over on his insurance company by filing a bogus $1.8 million claim over a missing watch ... this according to legal docs filed by the insurance company. TMZ broke the story ... Timbaland filed a lawsuit against American Home Assurance Company claiming his 2-year-old daughter lost his Jacob & Co. watch bedazzled with 30 carats of diamonds ... and the insurance company won't ante up. -- Timbaland bought the watch for $900,000 but insured it for TWICE the purchase price. -- Timbaland reported the watch stolen ... but 4 months later claimed his daughter misplaced it. -- Everyone involved told a different story ... the wife implicated another female, the assistant implicated the maid, the maid only copped to sleeping with Timbaland's brother-in-law and the brother-in-law refused to cooperate. No one ever mentioned the daughter losing the watch, like Timbaland belatedly claimed. He should just blame it on Capri Anderson (Google it). 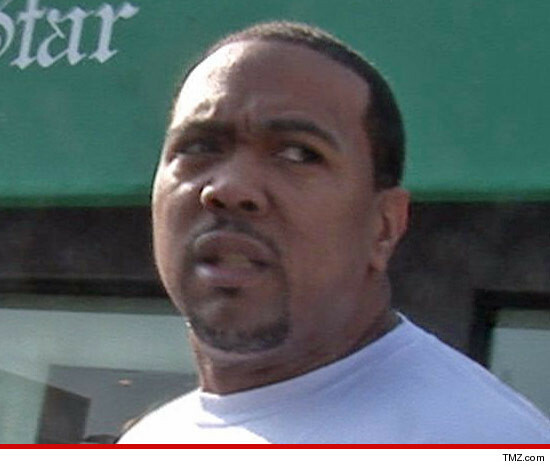 Timbaland Sues Over Missing Watch ... Where's My $1.8 Million?? ?